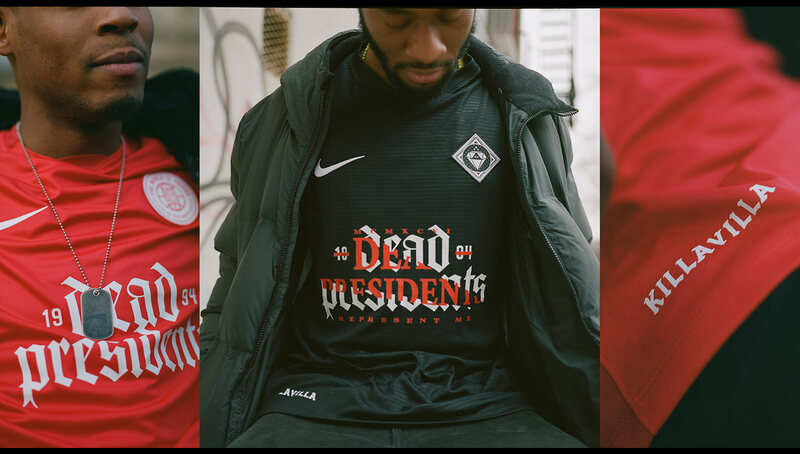 Honoring two of the greatest rappers to ever pick up a mic, Killa Villa’s latest “Dead Presidents” collection pays tribute to the storied and intertwined careers of Jay-Z and Nas. 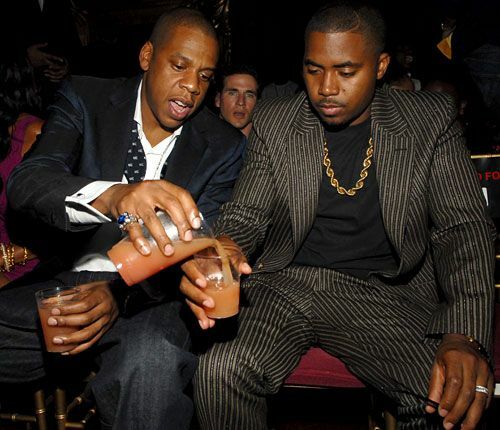 Along with Biggie vs. Tupac, the Jay-Z-Nas beef is the benchmark of rap feuds. In the late ’90s and early 2000s, the drama between the two New York MCs would put even Pusha T and Drake to shame. Looking to claim the city’s (and world’s, for that matter) empty hip-hop throne after the tragic killing of the Notorious B.I.G., the rappers held no punches back, with scathing tracks like Hov’s “Takeover” and Nas’ “Ether” causing a frenzy amongst rap fans and artists alike. No matter who you think won (it’s Jay-Z if you’re wondering), the two legends have since quelled their squabble, even appearing together on the “BBC” cut from Jay’s Magna Carta…Holy Grail in 2013. 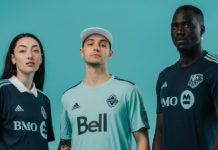 With the beef in the past, Killa Villa has dropped a stunning new collection that pays homage to the pair of all-time greats. 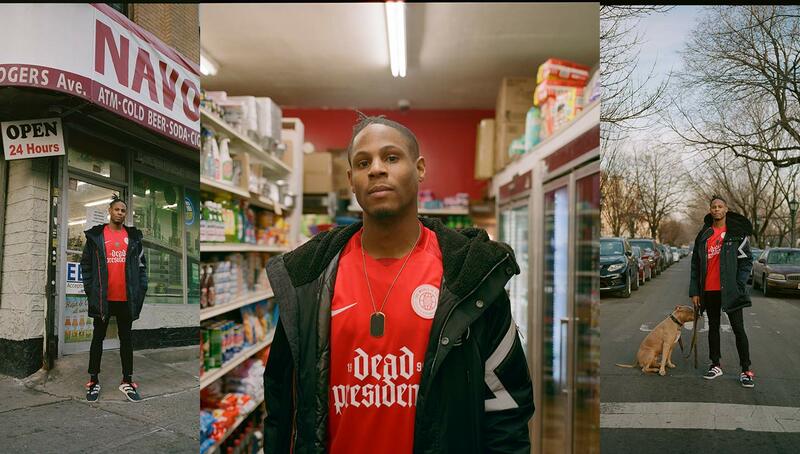 Titled “Dead Presidents,” tracks from both artists’ debut albums serve as the source of the collection’s inspiration — Nas’ “The World Is Yours” off of Illmatic, and Jay-Z’s “Dead Presidents II” from Reasonable Doubt. 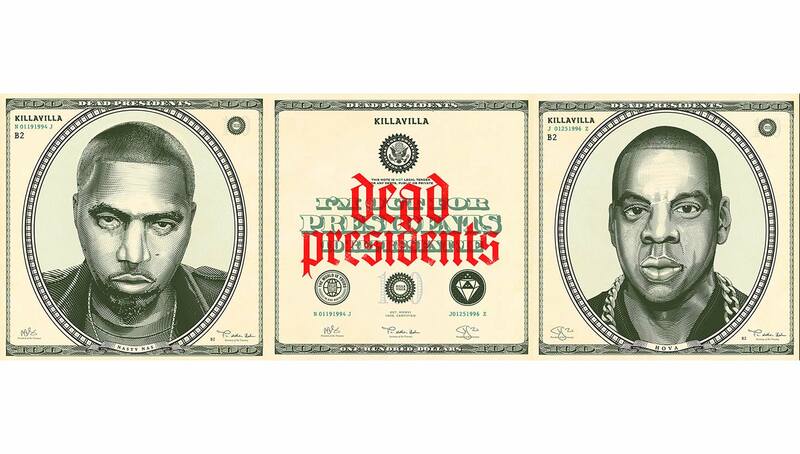 “Dead Presidents II” sampled Nas’ “I’m out for presidents to represent me” line, which many believe to be the origin of the schism between both rappers. Hov would go on to famously say, “You made it a hot line, I made it a hot song,” on “Takeover,” a cut off of The Blueprint that poured gasoline on the beef. 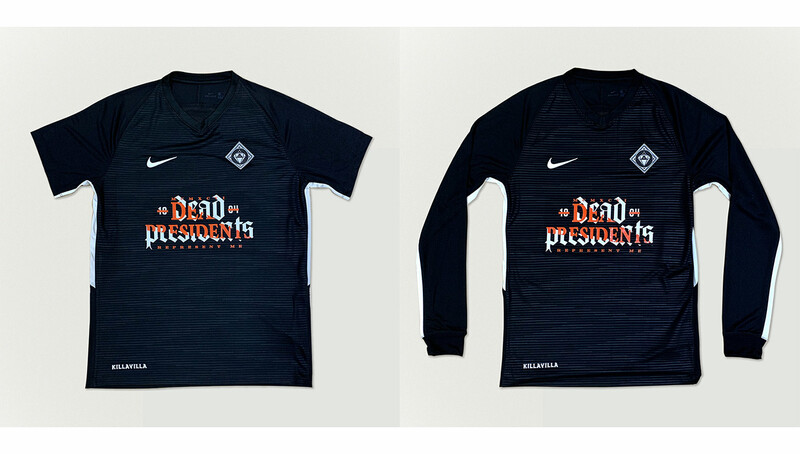 The “Dead Presidents” collection features two jerseys that honor each respective track in both short and long sleeve versions. 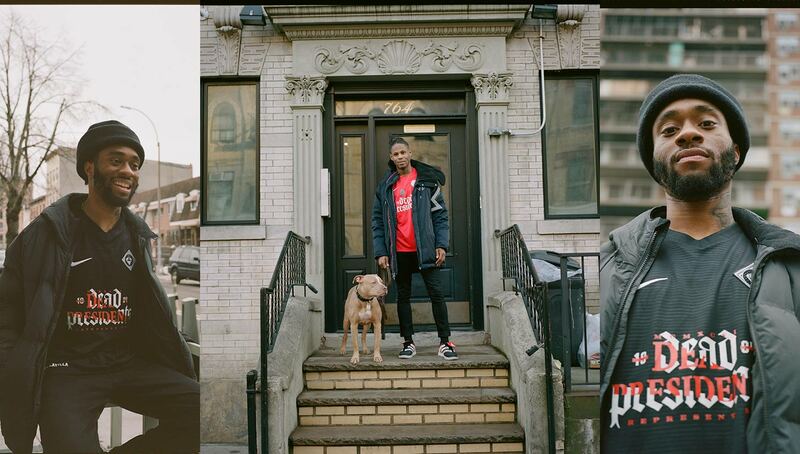 Harkening back to “The World Is Yours,” the red Nas jersey features the titular lyrics on the crest, along with “40 Side North,” a reference to the housing projects Nas grew up in in Mount Vernon, New York. 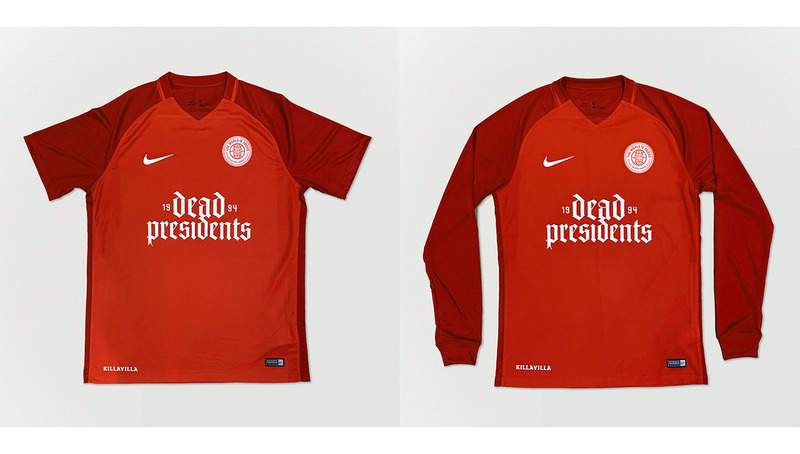 Alongside the “Dead Presidents” print on the kit’s center is 1994, the year Illmatic released. The black Jay-Z shirt slightly remixes the “Dead Presidents” print, a nod to how Hov and producer Ski Beatz sample “The World Is Yours” on “Dead Presidents II.” Replacing the 1994 is a Roman numerical version of 1996, the year Reasonable Doubt released. 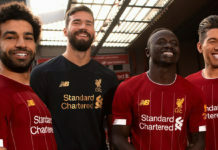 The kit’s crest features the all-seeing eye in reference to Jay-Z’s and his label Rocafella’s diamond sign, which some conspiracy theorists claim to represent the Illuminati. 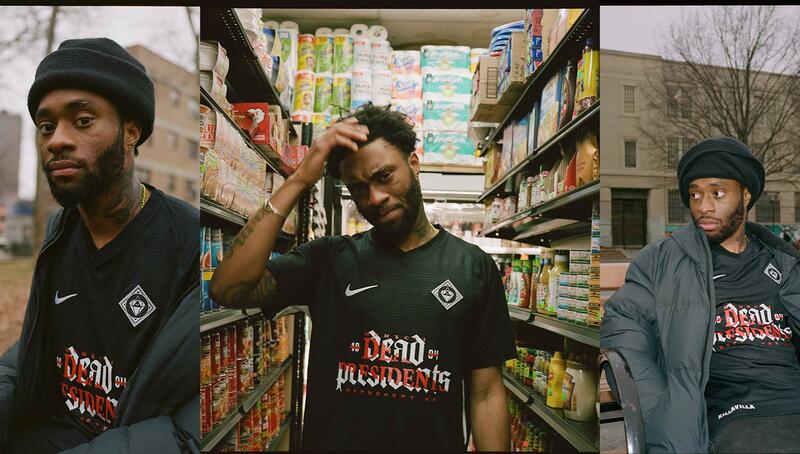 Once again, Killa Villa has taken some of hip-hop’s most iconic elements and tastefully put them on a football shirt. The only question we can now ask is, what is next? 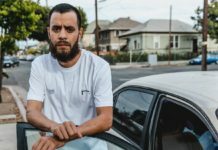 You can pick up the entire line, which was released in limited numbers, via the Killa Villa online shop, and be sure to follow Killa Villa on Instagram to stay on track with any surprise drops or restocks.